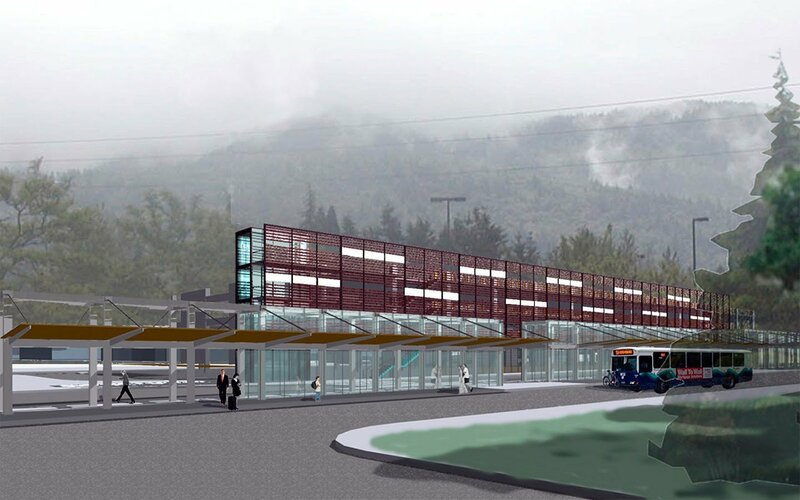 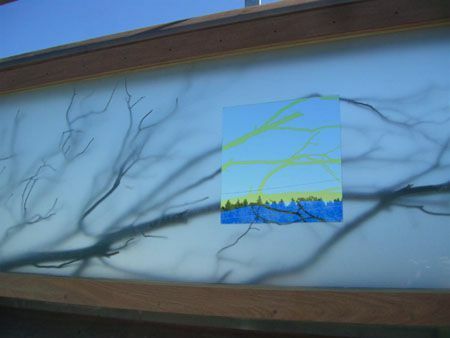 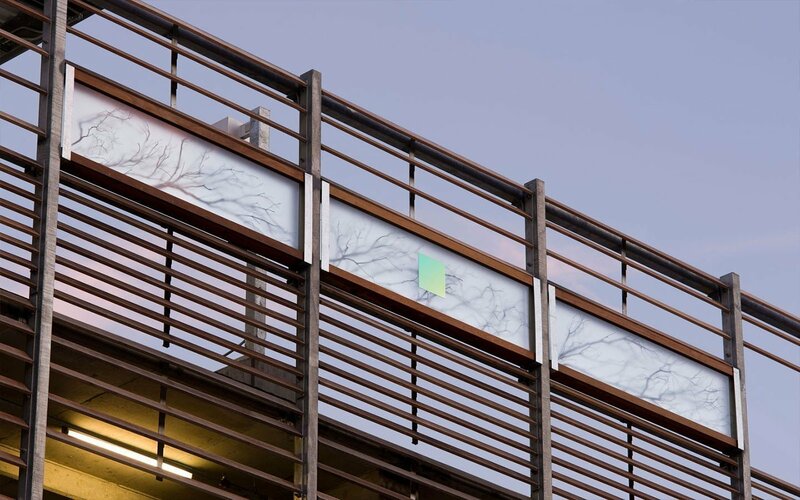 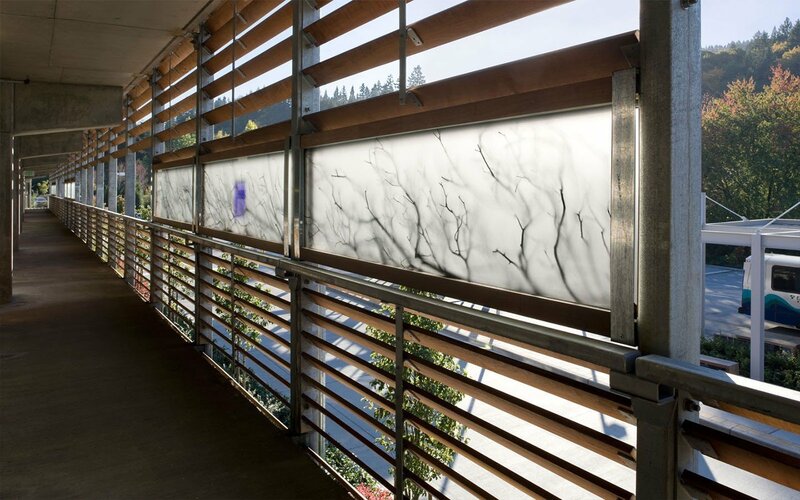 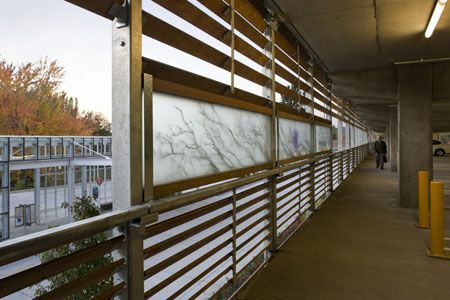 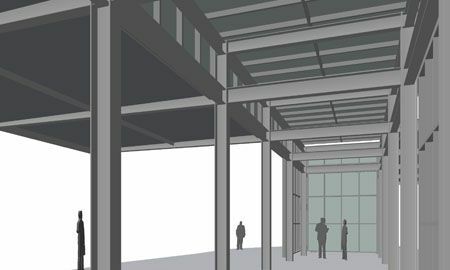 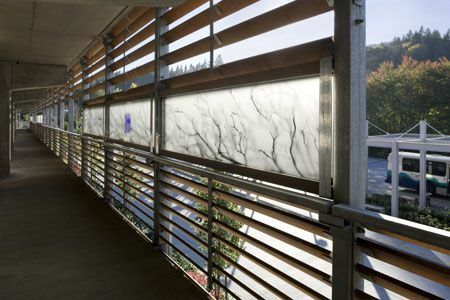 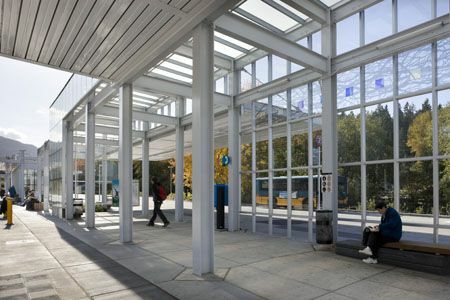 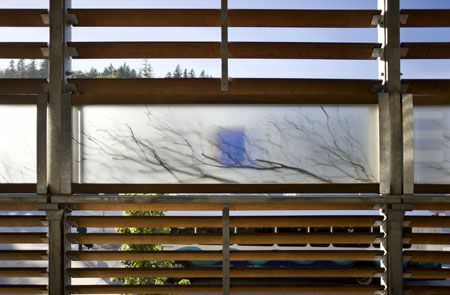 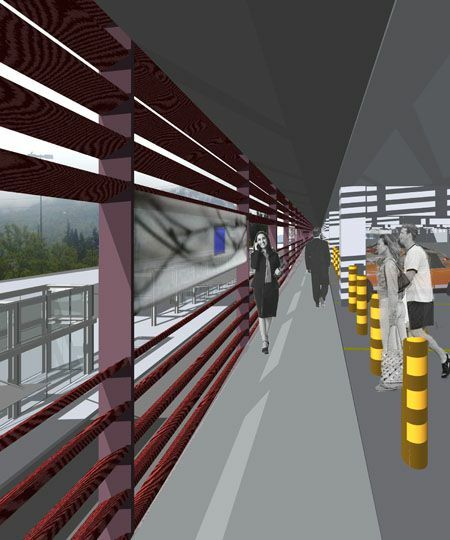 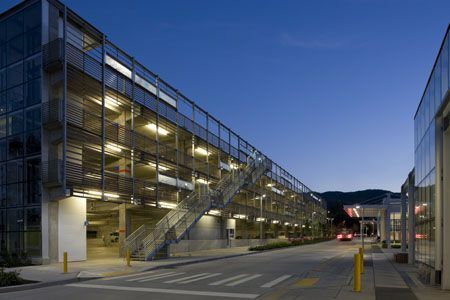 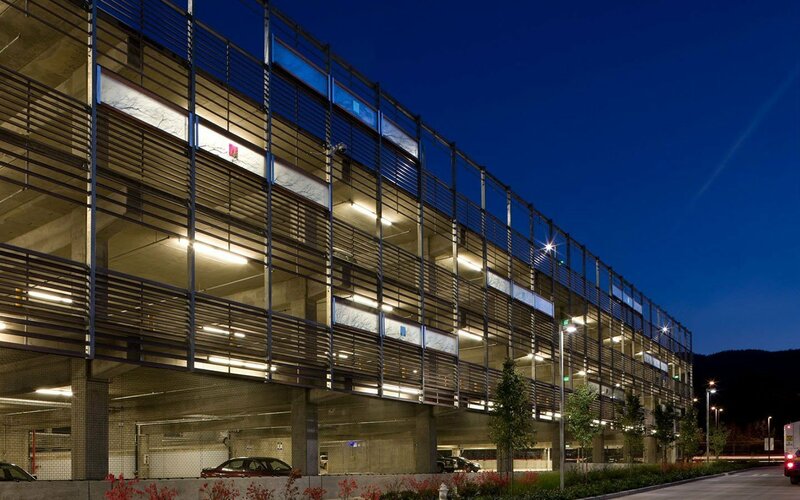 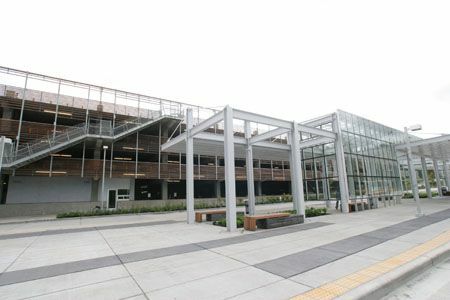 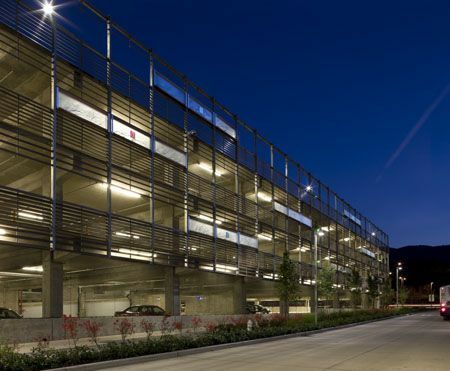 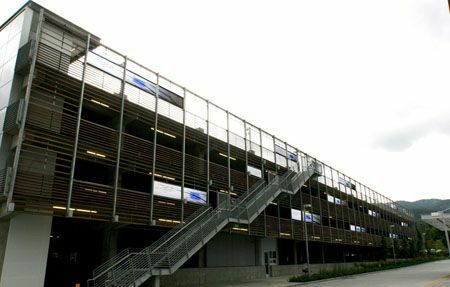 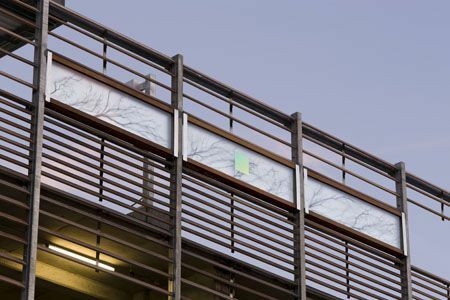 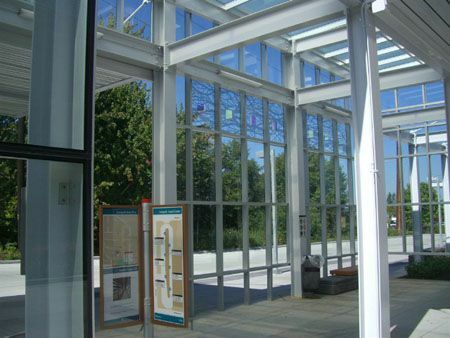 The artwork for the new Issaquah Transit Center’s parking garage consists of preserved madrone branches and shimmering dichroic glass squares suspended in wood and glass boxes that are integrated into the façade of the garage. 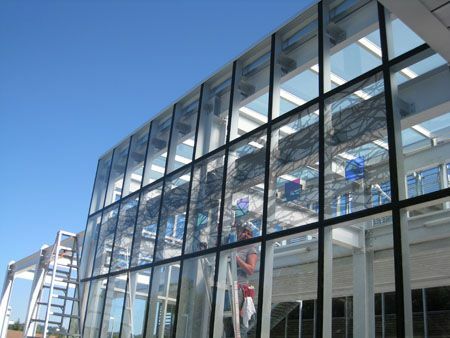 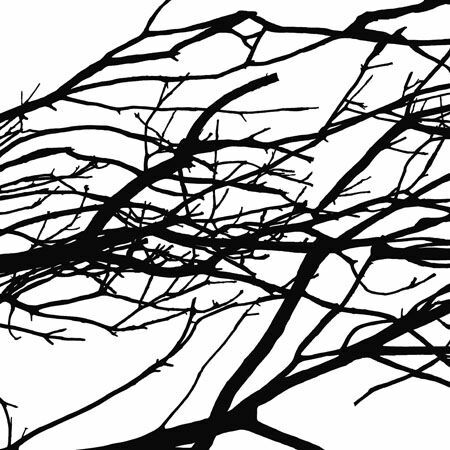 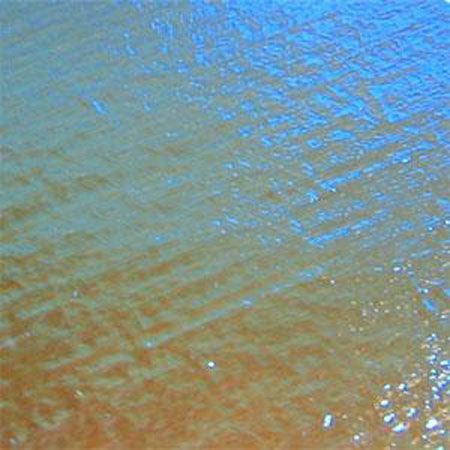 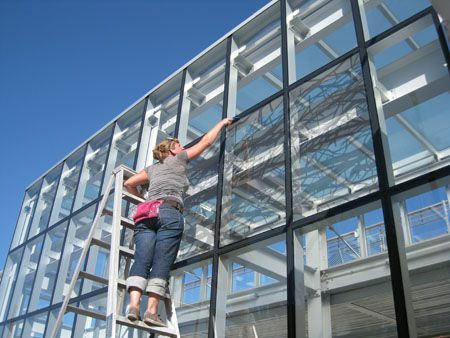 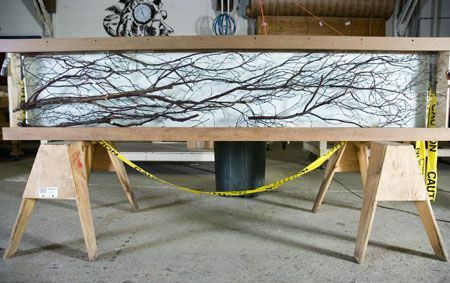 The units were easily installed and can be dis-assembled for maintenance. 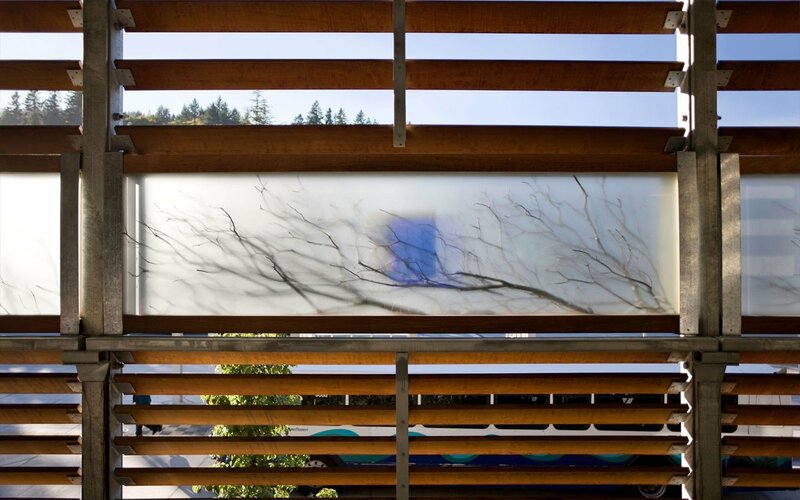 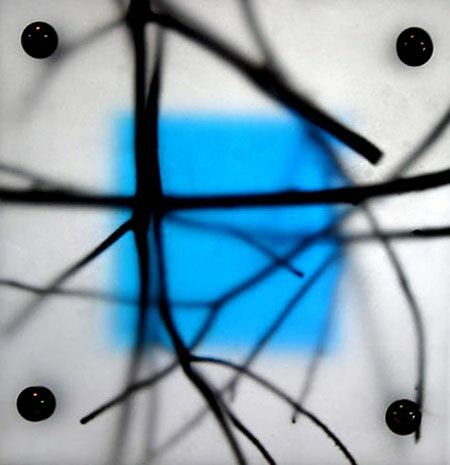 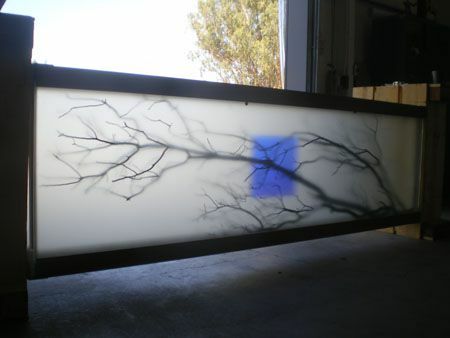 The shelter artwork uses environmentally-friendly, High Definition Thermal Encapsulated film on the exterior with eight- by eight-inch squares of blue-gold dichroic glass mounted to the interior of 25 windows.